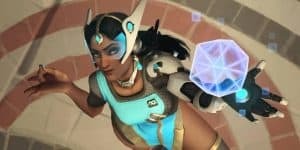 It Is Now Confirmed That Symmetra Is Autistic | Nerd Much? After the reveal of Tracer’s sexuality in the Overwatch comics, it seems only natural that we learn more about other characters too. Turns out, in Symmetra’s comic, Binary, she stated that “Sanjay [Korpal, an agent of Vishkar and a coworker] has always said I was… different. Everyone has. Asking where I fit on the spectrum.” It’s a vague enough statement that people could only speculate what she means by this. Did you have your suspicions all along, or does this come as a complete surprise to you? Will it change how you play the game? Let us know in the comments below!